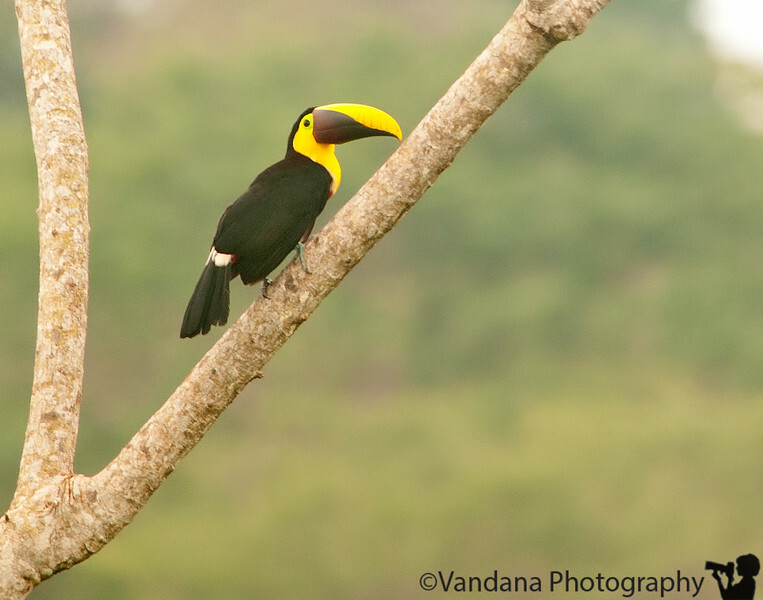 December 22, 2010 - Chestnut mandibled toucan. Had a hearty breakfast at Cristal Ballena. Roamed the grounds & spotted this toucan. Cristal Ballena is situated atop a hill, so you get eye-level shots of birds perched below. An ideal birdwatching spot. We left Uvita for the beaches of Manuel Antonio. Arrived at noon, but the room wasn't ready. So spent an hour on the beaches. Manual Antonio is very touristy. Lots of beach activity. I guess this is what CR means to Americans - beach & nightlife. Manuel Antonio has both, which is why most tourists end up here. At the beach, it was very hot & humid. After an hour, we got back to our hotel. The room wasn't ready yet, so spent the next hour sipping pineapple juice! CR is famous for its incredibly tasty frutas & frutas juices. Spent the rest of the day in the room with the Kindle & the TV, capping off the rest day. Nice shot. You all are having the most amazing trip. Sounds like quite the relaxing day! Very cool bird shot! Oh, to be in a warm climate.